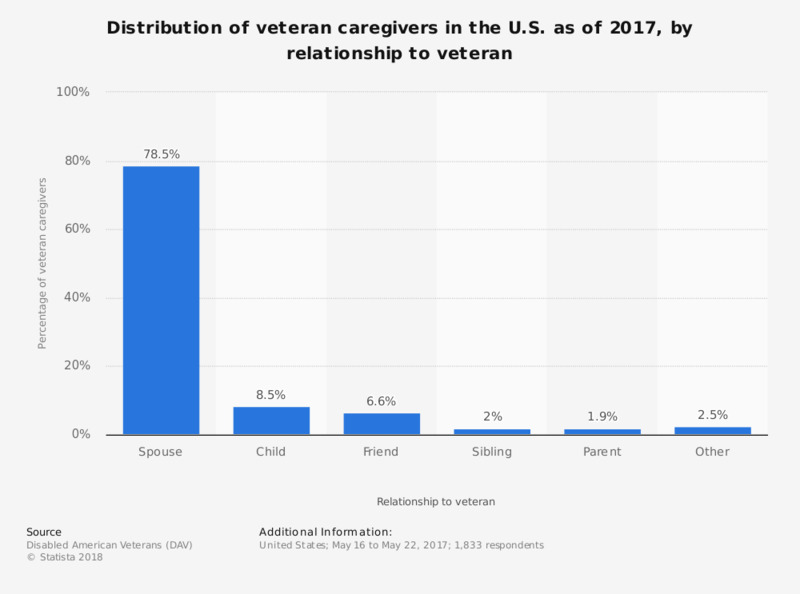 This statistic shows the distribution of veteran caregivers in the U.S. as of 2017, by relationship to veteran. As of this time, around 78.5 percent of veteran caregivers were the spouses of the veterans they cared for. Survey respondents included family members, relatives and friends who provide care or assistance to a disabled veteran and disabled veterans who have a family member, relative or friend who provides their care and assistance.